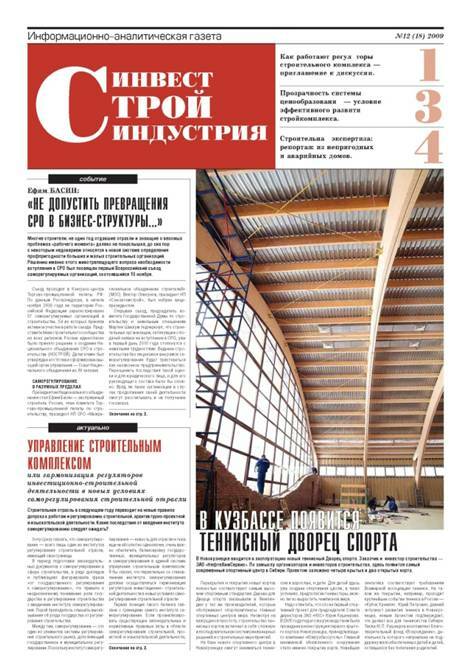 The newspaper "Stroiinvestitsii" created with the participation structures of the Ministry of regional development. Today is an independent publication, a joint project of the Russian engineering Academy and Agency business information "SLAVICA"Otraslevaja newspaper is an information platform for all participants of the process from the stage of the investment project and to finishing work on the object. Development, construction industry, construction and investment patterns presented on the pages of the same edition to tie in the whole socially meaningful industry - construction.